"We are now trying to build a Labour Party branch in my village – seven members and counting – with the modest aim of making sure there is always a Labour candidate on ballot papers. More importantly, it is vital that other views are always heard, even in these conservative rural areas." I wrote the above words in May 2015 in the aftermath of the general and local elections. 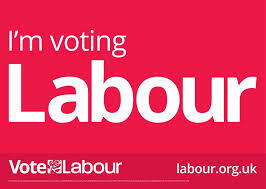 Labour had lost the former, but had not even managed to put up a candidate in the latter in my area of Herstmonceux. That was when a small group of new, re-joining and established Labour members started to have monthly 'Politics in the Pub' meetings. These informal gatherings were open to newcomers as well and, from this, we managed to dramatically increase membership in the village. Of course, there were one or two high-profile national events in the Labour Party that local membership levels benefited from at the time, too. Last year, we joined with a neighbouring area and managed to form the Heathfield and Herstmonceux Branch of the Labour Party. And this week, we have one of the original members of the group on the ballot paper in the East Sussex County Council elections in the Wealden East division, which covers Herstmonceux. Our branch also has one of its members standing in the Heathfield and Mayfield division and, across East Sussex, Labour is contesting all bar one of the council divisions. For a largely rural and conservative area, this represents progression. In reality, chances of success in these elections is confined to electoral divisions in Hastings and Bexhill; but what is important is that we have been able to deliver leaflets, meet people on the doorstep and outside supermarkets, listen to them and communicate Labour's core message of our ambition for a fairer society and the need to protect essential services in health, housing and education. In two year's time there will be another round of district council elections and, between then and now, we will be moving on from our original modest aim by working hard on the concerns of ordinary people at the most local level so that, next time around, we can represent them. There are Labour Party candidates in the Wealden East and Heathfield & Mayfield divisions, respectively, for the East Sussex County Council elections on 4th May.